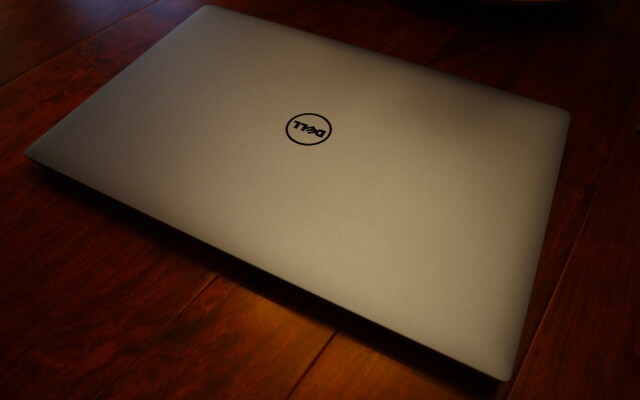 The XPS 15 9550 is a high end laptop, and this time around, I went with a SSD and the larger battery. Naturally, it comes with Windows 10, and yes I do intend on swapping out that SSD and installing Funtoo Linux. The 9550 is much smaller than the older 9530. It’s comparable to the size of the IdeaPad s405 (a 14″ laptop). Other than packing a serious hardware punch, the size is what really sets this laptop apart from others currently available. In a change from the 9530, the bottom is now aluminum rather than composite. I’m not sure how I feel about this change. The vent grill that is cut out of the bottom will ‘chime’ when you pass your fingers over it when handling the laptop. Additionally, I find the soft touch surface of the 9530’s bottom easier to grip. Still, the build quality is phenomenal. Pick up the 9550 with one hand and it feels solid. No bending, no creaking (unlike the s405), just solid. And, this is what I expect for a laptop at the XPS 15’s price point. One design aspect that seems to have flown under the radar was the power button. It extends above the main surface of the laptop. 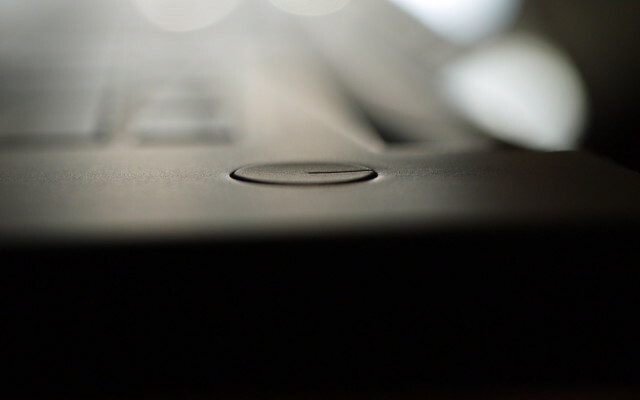 The 9530 has the button recessed slightly, which is great as it is impossible to accidentally turn on the laptop while the screen is closed. However, with the 9550, it appears it may be possible for this to occur (though it is not likely to happen). Like the 9530, the 9550’s USB type A ports do not work with the Netgear AirCard 340u (aka AT&T Beam). They both have the constant reboot issue for the AirCard. However, the USB type C port (also a thunderbolt port), does work with a USB C to A adapter. Of course, you can use an external USB hub to work around the issue as well. In the end, this issue appears to be on the AirCard’s side (more on this later), and given that it is going to be obsolete in a year or so it is not a big issue. The placement of the webcam is not ideal, but is a compromise I can live with. However, the placement of the microphones in the body of the laptop rather than up on the screen may be a mistake. The IdeaPad s405 makes this same mistake and in Google Hangouts/Skype everyone can hear your keystrokes. Since I have not used the microphone on the 9550 yet, I can not confirm or deny that this is an actual problem at this time. But, it is something to look out for. As before, I still do not really like trackpads. However, the 9550 did improve on the trackpad of the 9530. The surface material changed from something akin to slippery ‘soft touch’ to an almost glass like surface. 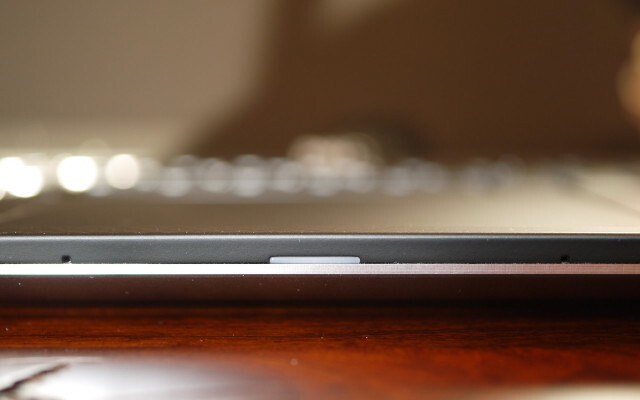 This reduced friction makes the trackpad much easier to use. Additionally, the keyboard keys have changed slightly. While I believe the actual key travel has been reduced, the keyboard feels better than the one on the 9530. Dell does make some accessories for the USB Type C/Thunderbolt port, including a dock (the TB15) which is definitely not travel friendly, and a more compact USB Type C to HDMI/VGA/Ethernet/USB3.0 adapter. The TB15 dock will be covered in another article. A note on power consumption. At idle/web browsing at the wall Kill-a-Watt is measuring 15W to 35W (screen set to half brightness). When fully loaded, using Handbrake to transcode 1080p video, power consumption is 68W (screen set to half brightness). The good news here is that the smaller 45W power supply should be adequate for traveling. Which is great given the standard 130W power supply is a little big (though no where near as big as others). Additionally, this means that the more common 65W and 90W car/travel adapters can be used without worrying too much (let’s face it you’re not going to run this thing full out while it’s sitting on your lap in a car).